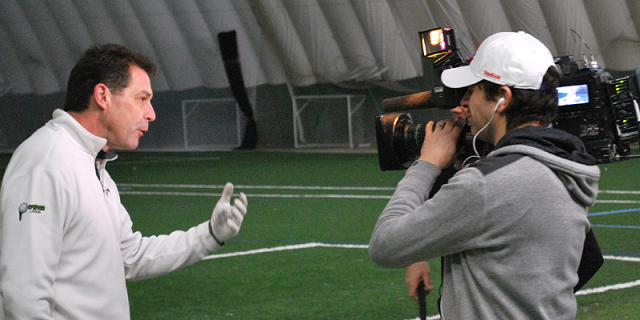 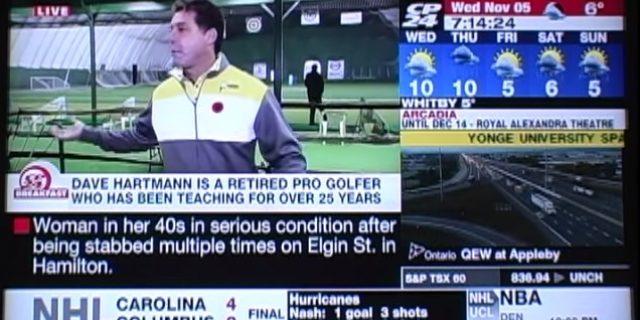 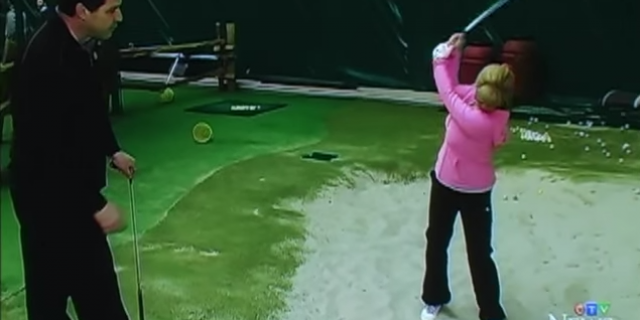 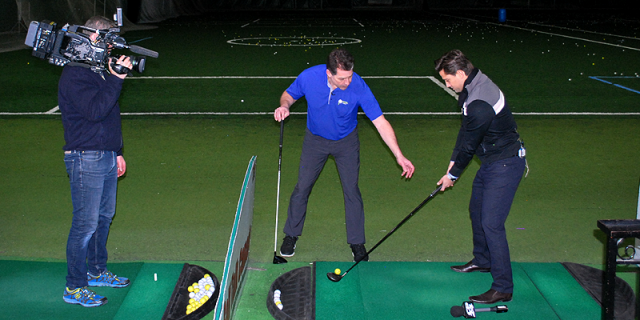 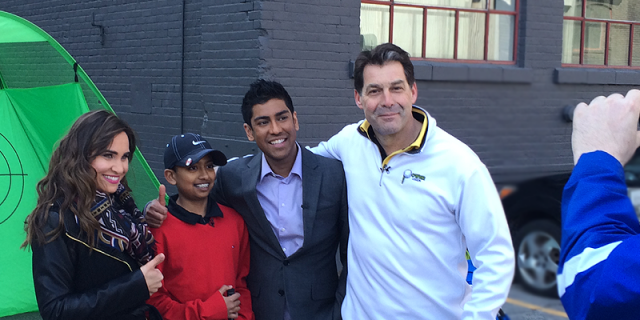 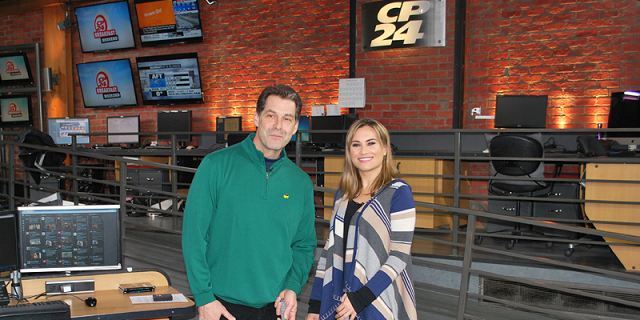 Dave Hartmann gave some golf lessons (4 Segments – Putting, Sand bunker, Full swing and Golf Simulator) to Jamie LIVE on CP24 Breakfast at the Metro Golf Dome. 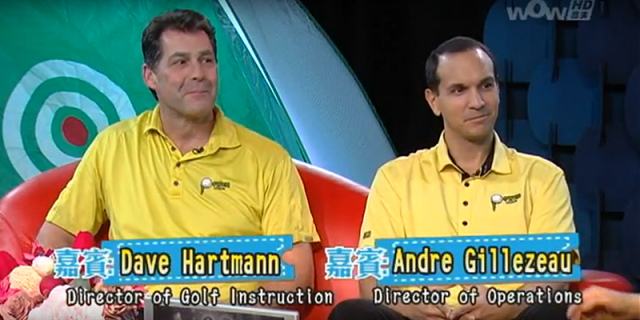 Jamie improved his golf game during the 4 segments and you can hear at the end Pooja and Steve say that they are amazed at how quickly he improved after golf lessons. 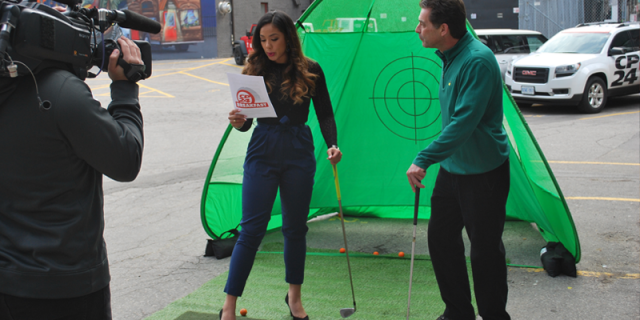 While Dave teaches Jamie, he talks about the importance of coming out to take lessons from a golf coach during the winter and to practice at the Metro Golf Dome.